It’s safe to say that the world’s business stage has grown exponentially in the last decade, no matter which industry you’re in. While the internet has changed the way we advertise, sell, and build awareness about our brands, technology, in general, has also changed the way we use other means of commercial exposure in the real world. In other words, technology is relevant both online and offline. In order to keep up with new competition and gain potential customers’ attention, businesses can use the latest technology to increase exposure and build brand recognition. In particular, digital signage is one of the best ways for commercial enterprises to grow using new technology for their brick and mortar locations. Most people are familiar with the classic signs and billboards that have been around for decades. However, commercial signage has gone through a complete resurgence thanks to recent innovations in technology and colorful digital displays. No longer is a sign stuck with one message, one color scheme, or one presentation only. 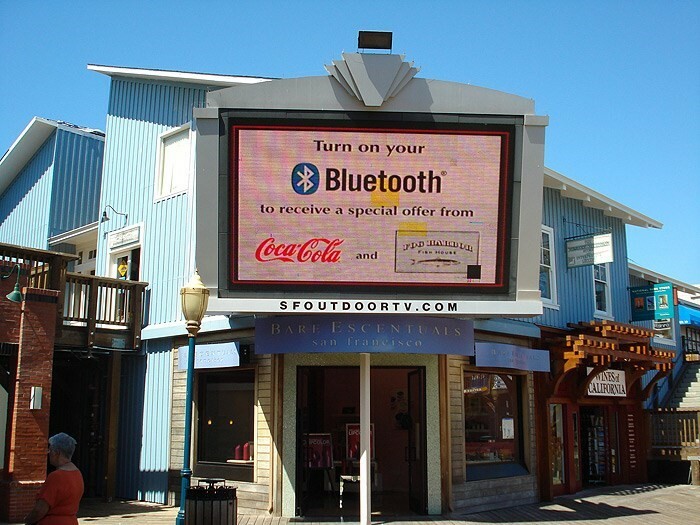 Thanks to digital signage from companies like Golden Gate Sign Company, advertisers can now enjoy dynamic messaging among other benefits by upgrading their static signage to digital signage. It’s important to remember that the first rule of digital signage is to gain attention, which translates to increased business. As such, you will want to consider upgrading to be a long-term investment. Before making the switch from static signage take the time to review the top five reasons we have compiled for you on why upgrading is the right choice for your business. Visibility: You can have the best sign ever made, but if no one ever sees it, then it doesn’t serve its purpose. With digital signs, you get unmatched visibility thanks to the LED lights used with digital signage. For businesses that have a lot of traffic in front of their business, this represents a perfect opportunity to put themselves out there. Flexibility: If there is one thing that has been a concern for advertisers with static signage is how long the signs actually last. When everything is static, you can’t change the messaging, content, visibility, or show messages in real-time. By going digital, you can ensure that everything shared is accurate, timely, and most importantly relevant to the people that view your digital sign. Cost Reduction: Upgrading your company’s assets to a newer or more innovative product usually means spending money. While there is an initial investment when purchasing a digital sign, you will see savings, in the long run, thanks to the ease of changing the messaging (no labor), no printing costs, and no waste from throwing out the old advertisement. Basically, this upgrade is perfect for saving on operational costs, which means more advertising money earmarked for more worthy endeavors. Target Acquired: We have mentioned how easy it is to change your messaging, but we haven’t explained why this matters. By changing the message, you can consistently engage your target audience. Static signs have a habit of fading into the background thanks to never changing. It essentially becomes part of the scenery and background, which is not conducive to audience engagement. Your digital sign will fix that problem by always having something new to share. Accessible: The beauty of going digital is that everything communicates with each other. This means that you can make your changes on the fly and even do so remotely if necessary. Had an incredible meeting and want to make changes to your sign? No problem—just enter in the updated information, and the sign is updated in real-time. Making a choice to upgrade your retail signs to a digital format is a big decision. At Golden Gate Sign Company, we understand that, which is why we work hard to match our customers to the exact type of digital sign they need to be successful. We offer a streamlined and efficient design and fabrication processes in a cost-effective manner, so you know that the sign you choose is reflective of what you want to represent to your customers. Whether you need signs outside or inside, on a small space or over a large area, our team at Golden Gate Sign Company has you covered. Our signs can be manufactured for both exterior and interior use. Our team will meet with you to discuss your requirements and dimensions. In addition, our team is fully trained and qualified to provide a picture-perfect installation complete with a maintenance package for ongoing upkeep. Ready to upgrade your business’s commercial and retail signs? Give us a call to speak with one of our agents about our signage services or fill out our online form to schedule your free quote.